Engineer Hilal Al-Kuwari has a distinguished professional track record operating across a number of high profile sporting and large-scale development projects. 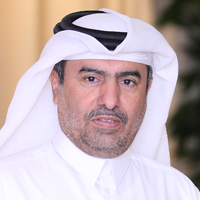 He oversaw the development and operation of the Sports City project, now known as Aspire Zone, including planning and infrastructure overlay for the venues of the 2006 Asian Games, which took place in Doha. 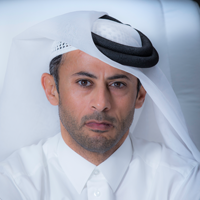 He has made a significant contribution to a range of projects for sports clubs in Qatar, and was involved in developing the innovative cooling technology system at Al Sadd Sports Club, which allows sports activities to be played all year round. With a background in engineering, he served in senior management positions at Qatar Petroleum and RasGas City, where he was the Manager of Support Services. His outstanding work was officially recognised in 2009 by fellow engineers from the GCC when he was awarded the Best Engineer in the State of Qatar. 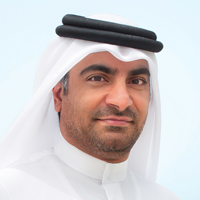 In addition to his duties as the President of Aspire Zone Foundation, Eng. Al-Kuwari is an active member of several government tender committees, including the General Tender Committee of the Public Works Authority, General Tender Committee of 2022 FIFA World Cup Qatar™ and Central Tender Committee for Qatar. He is involved in major projects including the planning and operation of Katara Cultural Village and the Salwa International Highway redevelopment.